No doubt, Microsoft Outlook is the “king” ruling the fast-growing business world. This is just because of its simplified interface providing with a wide range of data management and security options. Moreover, this email service provides plethora of unique features that enable users to deal the complex tasks in an easy way. As we all know that Mac Outlook stores the data in OLM file format. For instance, if there comes a circumstance to open the OLM file in Windows Outlook, then there are a couple of complex knots that needs to be untangled so as to access the OLM file in Windows Outlook. For that, one must convert the OLM file to Outlook PST format. Now the major concern, which comes to the mind of the user is how to convert OLM file to PST and what is the accurate procedure to implement this need. Are you are user facing similar such instance i.e., to export Mac Outlook OLM files to PST format, then we are here to help and assist you. Well, this can be accomplished with the help of a result-oriented utility named, SysTools OLM to PST Converter. This OLM to PST Converter online tool is designed in such a way that it is capable enough to export all the OLM mailbox items along with the attachments, no matter the attachment is any document or an image. One can conveniently perform the conversion process with the help of this tool. This is because, it allows to convert the desired data items, simply by selecting the checkboxes against the folder or item. This OLM to PST converter full version free download tool permits users to export batch OLM files to different email supporting file formats, including Outlook PST format. This process of batch conversion enables to save time to a large extent. A user can save the converted OLM file according to the naming pattern of his/her choice. With this, one can efficiently organize and manage the emails. The various patterns include Subject, DD-MM-YY+ Subject, DD-MM-YY+ From and so on. This olm to pst converter ultimate is programmed in such a way that it provides an easy-to-use interface to the end users. 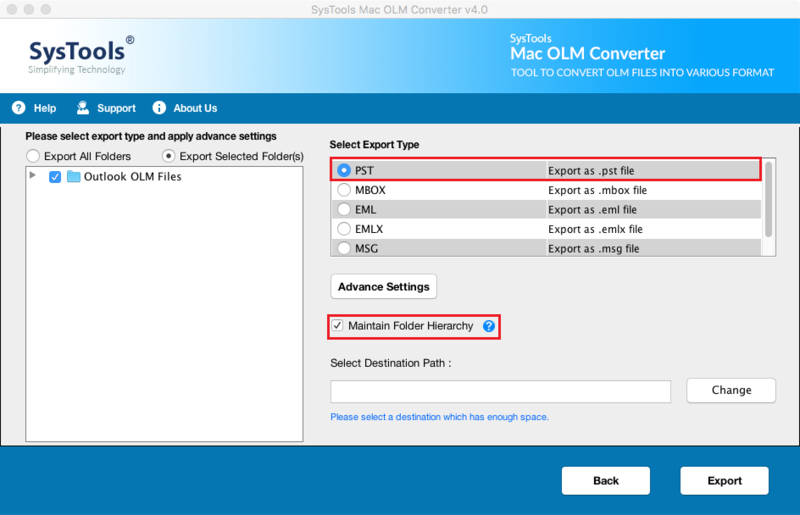 Additionally, one can make the best use of Date-filter option as it allows to export selective data from Mac OLM file by specifying the particular date range. One can easily convert OLM files to Outlook PST format with the help of this futuristic software. After successful completion of the conversion process, all the files and folders are kept intact same as that of the original format. Hence, there is no need to worry about data loss issue anymore. Want to know about the system requirements to install this tool? Read on and get your OLM files converted to PST format! 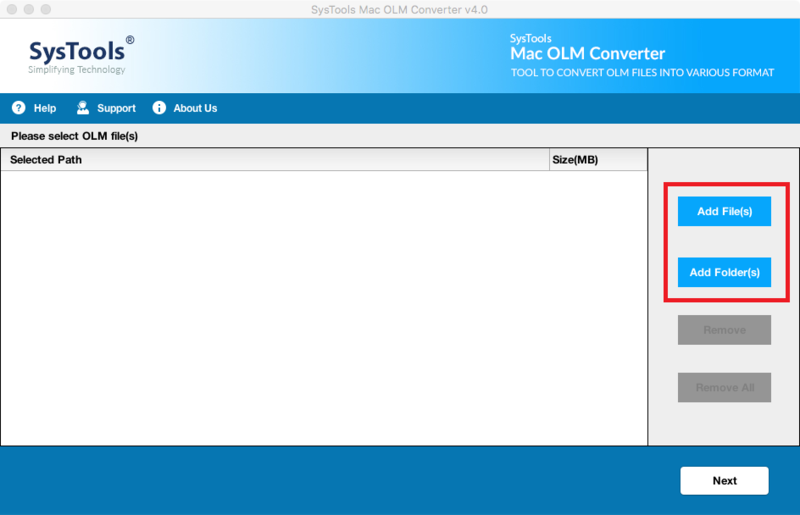 Note: The above system specifications is for Mac OS to free download OLM to PST Converter. However, the converter tool is also available for Windows Operating System. In this blog, we have described a cost-effective solution to convert Mac OLM file to Outlook PST format with the help of OLM to PST Converter Full version free download tool. Unlike other converter tools, this tool is induced with the latest algorithm and it is also developed by the best technocrats to export OLM files to Outlook PST. Moreover, to resolve any kind of queries related to this software product, one can easily approach the technical support team, which is always available at your service day and night.